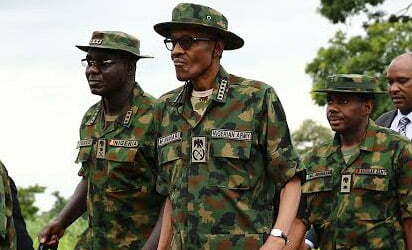 The Nigerian army was soft on Biafrans during the civil war, President Muhammadu Buhari said on Monday. This, he said, was because the then head of state, Yakubu Gowon, issued strict instructions to the army that Biafrans were not enemies but “brothers and sisters of the rest of Nigerians”. Buhari was speaking at his investiture as Grand Patron of the Nigerian Red Cross Society (NRCS) at the presidential villa in Abuja. The civil war broke out in 1967 — after eastern Nigeria declared “Republic of Biafra” — and ended in 1970 with claims that millions were killed, mostly from starvation as a result of a blockade by the Nigerian government.